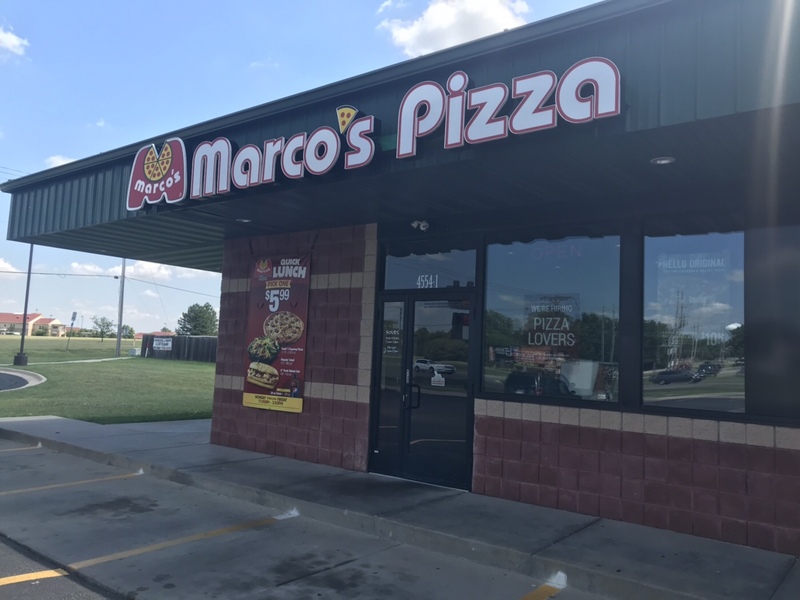 Marcos Pizza Review – Wichita By E.B. 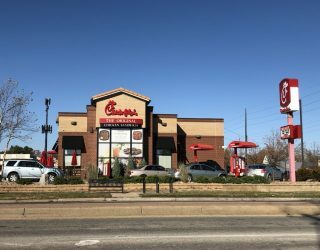 While planning a work lunch, we were wanting something convenient quick and close by. With a majority of us never having tried Marco’s Pizza, we decided to settle on them for our get together. Marco’s is a national chain based out of Toledo, OH. They pride themselves on their fresh dough, three-cheese blend and secret pizza sauce recipe. 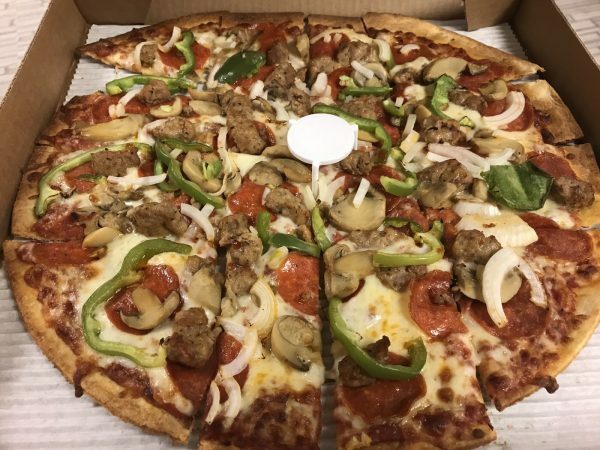 There are three locations for Marco’s Pizza in the Wichita area but for the purpose of this review, we had a carry out order from the Bel Aire location on north Woodlawn. We ordered a total of twelve pizzas that encompassed most of their menu. Nearly all of their pre-set options were ordered along with a couple “build your own pizza” options. 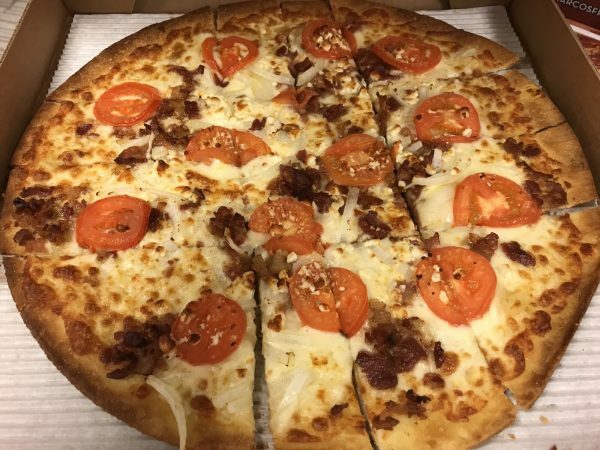 We also split the order between thin crust and regular crust. On top of that, we made sure all the pizzas were cut into little squares. For starters, the guys working that morning were pleasant and accommodating. They were apologetic that the pizzas weren’t ready right on time; in total the pizzas ran about 10 minutes later than advertised for pickup which is very forgivable given it was twelve pizzas. They also helped take them to my car. Once I arrived back to work, the pizzas were all still piping hot. The square cuts made the pizza very sharable with all my colleagues. 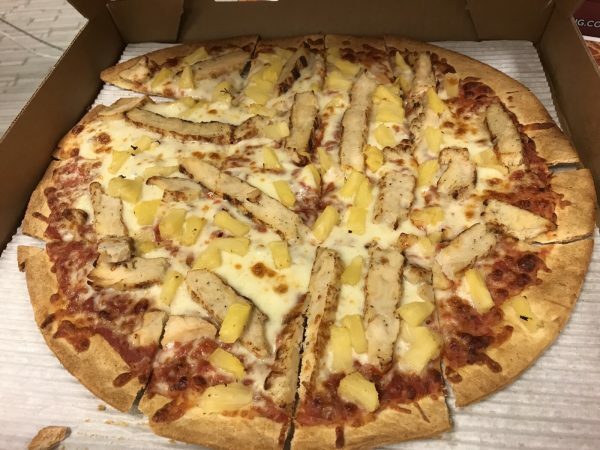 Everybody was impressed with the pizza and kept asking where it was from. They were surprised to hear it was from Marco’s Pizza. 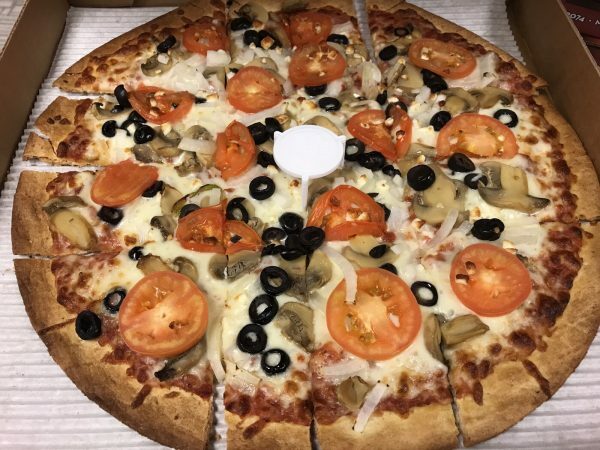 While no one would say it’s their best pizza ever, they thought it was really good compared to other chains like Papa John’s or Pizza Hut. The sauce had a small little herby but flavorful taste to it that everyone enjoyed; one note though the pizza probably could have used a bit more sauce on them. The thin crust was popular among everyone while the regular crust was more of a dud; there were plenty of leftover regular crust pizzas. The thin crust was crispy and yet thick enough to hold the pizza together. 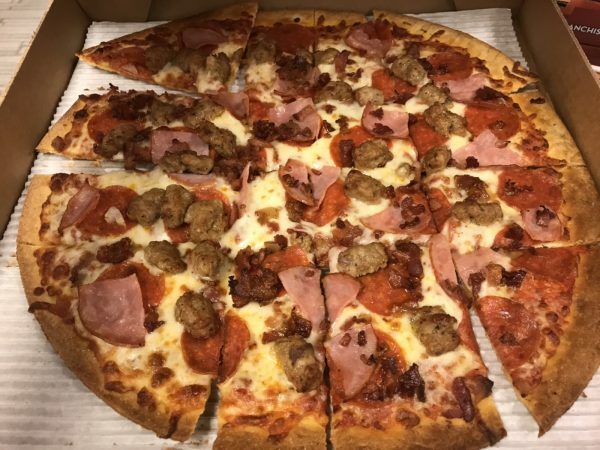 Of all the pizzas we ordered, the Pepperoni Magnifico, Deluxe Uno and BBQ Chicken (if they could cut down the onions) were our favorites. 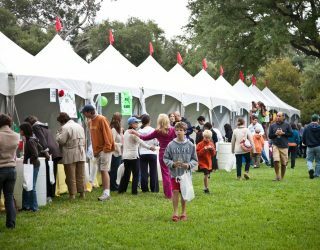 The Garden and Chicken Florentine were huge misses with everybody. I’m pretty sure there are still leftovers in our fridge from last week sitting there. The biggest deterrent from us ordering Marco’s again was the price. $16.99 was pretty high for a large 14” pizza. We had some coupons to bring that price down but at regular price, it’d be a hard pass for us. Other than that it was a pizza we were all pleased with especially when you compare it to the other national chains.